« During Fast for Yemen, 11 activists were arrested at the U.S. Mission to the U.N.
“It is beyond outrageous that the Bureau of Prisons would pick this time to move a 70-year-old prisoner in poor health into these freezing conditions that are unfit for even the most healthy prisoner. I’m very concerned about how soon he will be able to receive needed medications and medical attention,” said Felice Cohen-Joppa, a member of Dr. Dhafir’s support committee. Dr. Rafil Dhafir is an Iraqi emigre and oncologist. His case is emblematic of the malicious prosecutions of Muslim philanthropists and charities in the post-9/11 era. Dhafir was an outspoken opponent of the 1991–2003 U.S. sanctions against his native country. As a respected physician and leader among upstate New York Muslims, he established a charity for the beleaguered Iraqis, and donated well over $1 million of his own money to their needs. Dr. Dhafir has been imprisoned since his surprise arrest on the eve of the 2003 invasion of Iraq, when he was denied bail and accused by federal officials of funding terrorists. His home and office were raided and within hours at least 150 donors to the charity had been visited in their homes and interrogated by the FBI. When Dhafir refused a plea bargain on the original 14 charges related to the Iraq sanctions, the government responded with a 59-count indictment, expanding the prosecution to include 25 counts of Medicare fraud for receiving improper reimbursements totaling much less than the charity he gave. No evidence of his funding terrorism came into the trial, so the defense was not permitted to mention or refute the widely-publicized accusations, which were insinuated again at sentencing and while serving his sentence. 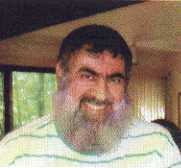 As a federal prisoner in 2006, Dhafir was among the first small group of federal prisoners picked for placement in a so-called “Communications Management Unit”, a repressive innovation that targeted Muslims with strict limits on and surveillance of all written, phone and personal communications with the outside world. In recent years at the Devens Federal Medical Center in Ayers, Massachusetts, he has been subjected to repeated harassment during the month of Ramadan fasts and placed in isolation while alleged disciplinary infractions were investigated and then dismissed without explanation. A summary of Dhafir’s case can be found here http://www.nukeresister.org/wp-content/uploads/2018/12/Rafil-Dhafir-case-summary-6_3_2018.pdf. Letters of support should be sent to Rafil Dhafir 11921-052, MDC Brooklyn, Metropolitan Detention Center, P.O. Box 329002, Brooklyn, NY 11232. You can check the listing at www.nukeresister.org/inside-out/ to see if he has been moved to another prison.